Products of our company help strengthen mental health and concentration, measure mental stress management. Our clients are athletes, pilots, managers and all those who have to deal with mental stress. We offer individual solutions for psychologists and therapists for monitoring of patients. 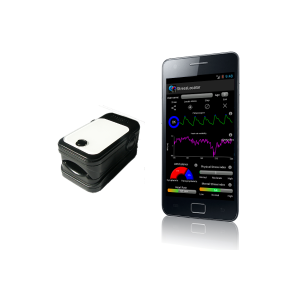 With long-term experience on the field of biofeedback and AVE technologies we are able to offer highly sophisticated customized products. We cooperate with developers and create tailor made devices for their applications. The StressLocator application for training of concentration and relaxation is used by thousands of people in 110 countries around the world. Hundreds of our AVE devices and thousands copies of applications are providing their services to satisfied users from Japan to Israel and are used by companies such as Beißner’s Zentrum für Physiotherapie (DE) or Hamburg University. Are you interested in measuring and changing mental states? So are we. We manufacture several kinds of biofeedback including necessary software. For more info, see our biofeedback-related pages, especially those focused on emotion sensors and the StressLocator project. Happy Electronics develops and manufactures its own mind machines. 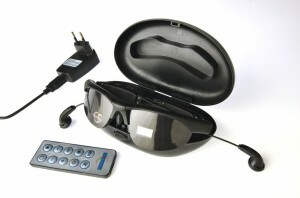 Victory V2 is a mind machine fully integrated into glasses. The new generation of mind machines and AVE devices is represented by our Mindroid project. More information about mind-machines are to find here. More is to find on this page. Since 2003, our company has been developing user-friendly, affordable and comfortable mind machines and AVE devices offering good quality for reasonable costs, bringing the technology closer to wider spectrum of people. The company develops and manufactures mind machines, skin resistance sensors and related ways how to measure and influence human state of mind integrated as parts of programs and applications. We have wide range of experience with biofeedback and AVE technologies. Our products are continuously improved and adapted to customer’s needs. Remote tracking of client’s results (online), data processing, training. Biofeedback, relaxation and AVE entertainment, all provided by our company.